Legends of the Past was originally started as a special four year millennium project of the Canadian Horse Racing Hall of Fame to honor people and horses whose accomplishments and feats occurred a number of decades ago. These people and horses made unique contributions to horse racing in Canada and the Hall of Fame would have been remiss if it did not recognize the special roles they played in the development of Canadian horse racing. 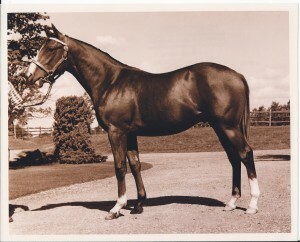 Their panels were installed in the special Legends section of the Hall Of Fame and their names have also been inscribed on the honor rolls of the six categories comprising the Hall of Fame Builders, Thoroughbreds, Standardbreds, Jockeys, Trainers and Drivers/Trainers, with the same distinction as those elected by the Election Committee. Following that initial four year project, it was determined there were still many who deserved to be honoured for their role in the early development of Canadian horse racing and as a result entries into the Legends category continue to be added. In 1976, the original Election and Nomination Committees were confronted with an extraordinary large number of worthy candidates from across Canada for the Hall of Fame’s first induction ceremonies. Many of those candidates bypassed that first year were subsequently inducted in later years. Others, whose credentials had not been fully documented, were reluctantly allowed to fall in the also eligible category by future committees whose focus was on the election of horse racing’s numerous contemporary heroes. Dan Patch Hector Clouthier, Sr.